Child Vaccines and vaccination .. Are we doing the right thing? When i started my career as a child specialist 25 years ago, hardly we had few vaccines that we injected the children with. Now we inject children with so many vaccines, almost every month until the child becomes one year old. And it doesn’t stop there, and the vaccination legacy continues until we live. 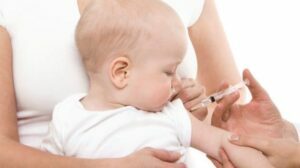 Are we justified in giving vaccines to our children ? Are we doing harm by vaccinating kids ? Are we subjecting our children to the benefit of the pharmaceutical companies? Could we just stop vaccinating the children? Yes. Nothing else helped children more than vaccination in the field of medicine. Today’s children survive the tender early age from onslaught of the killer infections, only with the help of vaccines they receive. Later an array of other infections such as Pneumococcus that causes Pneumonia, Measles , Mumps, Rubella were recognised as a considerable threat to children’s health and vaccines were developed to counter them. Later down the line, vaccines were developed against jaundice causing viruses such as Hepatitis A and B . End result of all the vaccines is massive reduction in number of deaths and destruction in children. All these vaccines have a good safety profile. But extremely rarely children do react abnormally to these vaccines and develop some significant side effects. But comtemplating the idea to stop vaccinating children is a very risky option, as the infection, if it were to happen in those unvaccinated children it could be disastrous. So.. Never ever stop vaccinating your child. Vaccines are the most effective life saving medicines in the world. Madurai …Is it a good place to live with a child? Nipah and banana….Could we eat banana safely?